Next couple of weeks are sorted for hosts – thanks to @rfuse and @Mieke!!! @Mieke have a great open evening tonight! Tell email about the Maker Festival! Tell them we are open for new members, they have to join a mailing list on the page on our website that still says we’re closed…!?! A lot of members are immersed in Maker Festival related industry – hosting this week would be a gift to those members!..and then stay on and assemble a sign or two…or who knows what? @members – your Makerspace needs you! 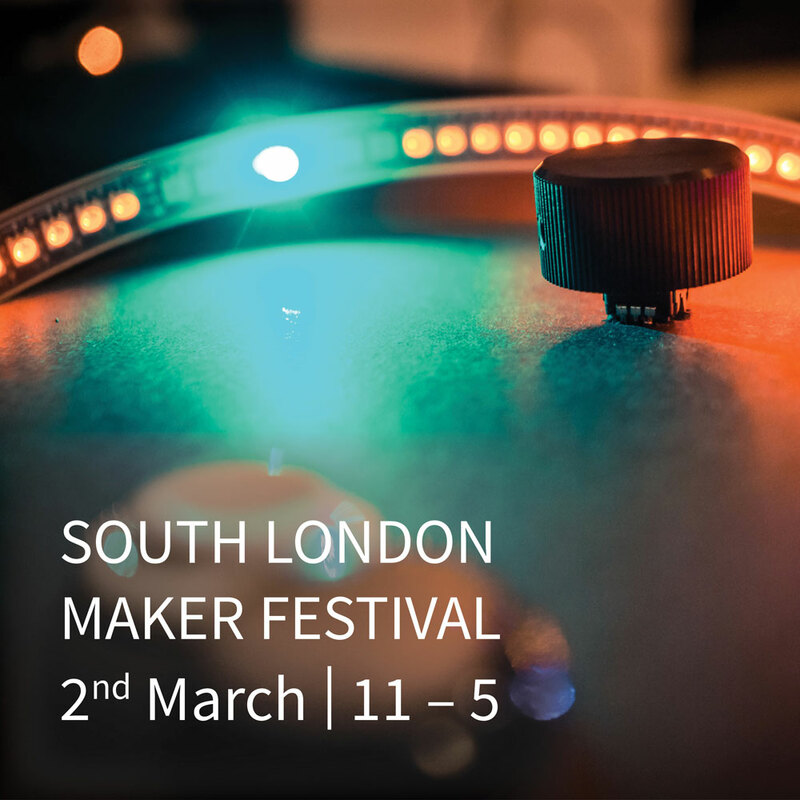 We’re expecting a very healthy and curious turn out this week on the heels of the phenomenal SLMS showing at the South London Maker Festival yesterday…so I’d say this week probably could to with two hosts? It’s not so hard, I’ll be about and can chip in if you find you’re lost for words. Remember you don’t need to know everything, so long as you know a tad more about the space than someone that’s never visited! Router table + table saw induction in exchange for hosting open evening. sounds fair! I would need a script though! Pushing it mate, make a few things first. What time do I need to be at the space?! Thanks for taking this on – as I said above it will likely be busy tonight, so a co-host would be great folks! Anyway I’m on my way. Hopefully with you at around 7.25! How’d it go last night? Looked lively! Yes all fine. They enjoyed the fancy biscuits I got them!